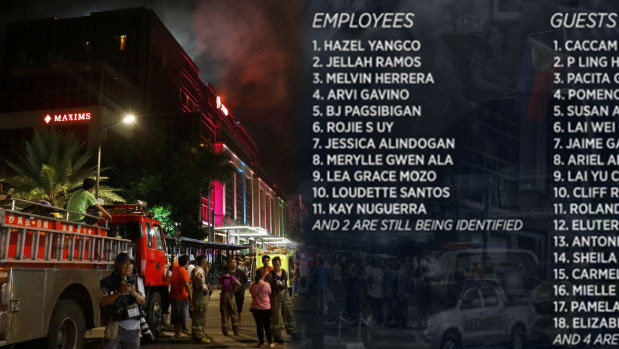 The names of victims who died in the recent attack at the Resorts World Manila has been released on Friday, June 2, 2017. Among of the casualties includes 13 employees and 22 guests. Below is the complete list. Meanwhile, PNP Chief Ronald Dela Rosa ruled out the involvement of ISIS group in the incident.